October 31st marked the official opening of the Calgary Airport’s newest terminal. 5 years in the making, and coming in at a cool $2.6 billion, this new two-million square foot international terminal will double the size of the existing airport terminal and is considered a best in class Canadian airport. All US and International flights will now be served through the new terminal. Shopping, dining, train rides, football perhaps? The new terminal is equivalent in size to 34 NFL football fields, and due to the size, YYC now has an internal transit system! The YYC Link Shuttle includes a fleet of 20 passenger shuttles which can each carry up to ten-passengers via electric vehicles that will speed you through the entire complex. There are 50 new shopping and dining spaces. 24 new aircraft gates for international and U.S. destinations over 5 levels! 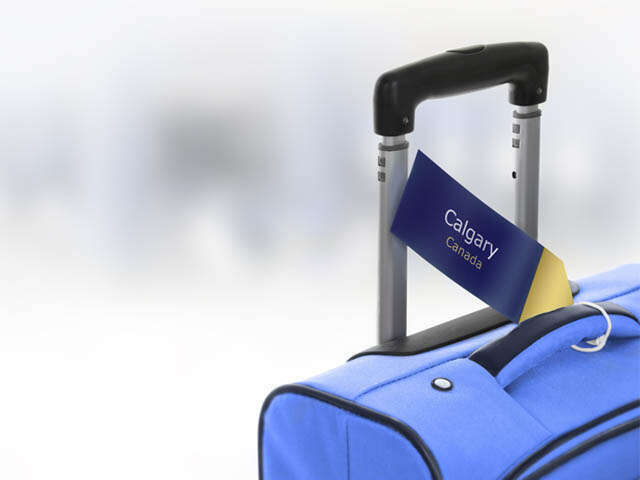 New ways to connect guests through YYC include a Connections Corridor and the YYC Link passenger shuttle, a compact transit system. 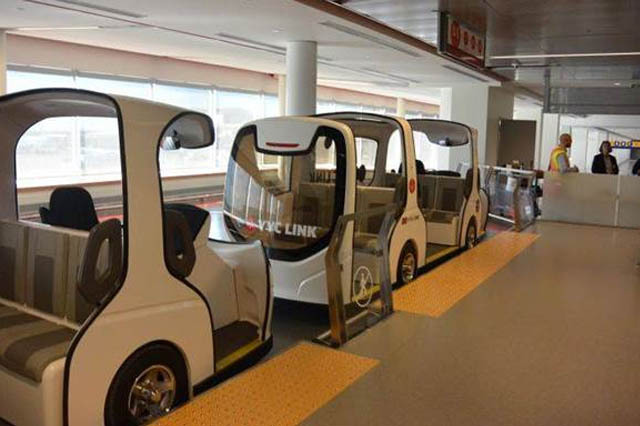 YYC LINK uses electric vehicles that can transport up to 10 passengers at a time. Frequency is every 2 minutes from 0730-2300, with “on demand” service after these hours. Each vehicle is wheelchair accessible. Call to Gate? Unlike the historical process of assigning gates, no gate will be assigned when the passenger checks in, just the concourse information; D or E. Instead, once the traveler is through security and customs, the traveler will proceed through duty free and onto a central area, vs. going to a boarding gate. At a specific time prior to departure, the gate number for the flight will display on the large screens, signaling to the guest that it is time to proceed out of the central area towards their departure gate to board their flight. Modelled after successful European airports, YYC believes this will expedite the boarding process and save time. In order to expedite the Customs process, YYC has installed Automated Passport Scanners which will save travelers valuable time.